Knitting pattern for an easy lace Cardigan and Waistcoat, made with King Cole Cottonsoft Crush DK Yarn. Larger sizes 30 to 48 inches. 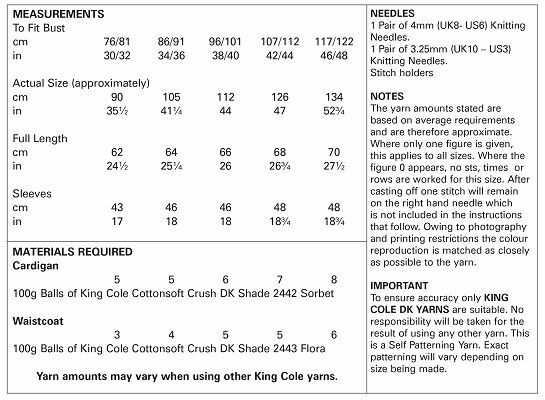 Knitting Needles: Pair of 4mm and 3.25mm needles.